Kissing Crane L.E. 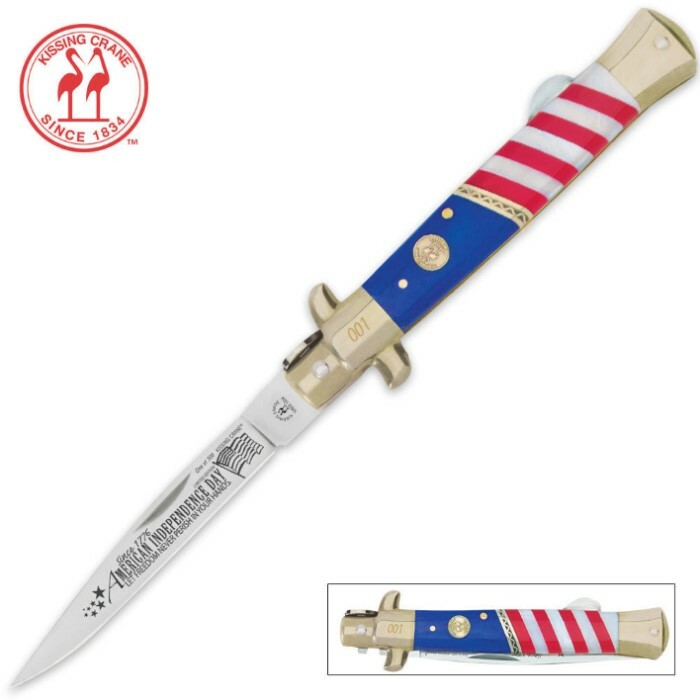 July 4th Stiletto 2013 | BUDK.com - Knives & Swords At The Lowest Prices! 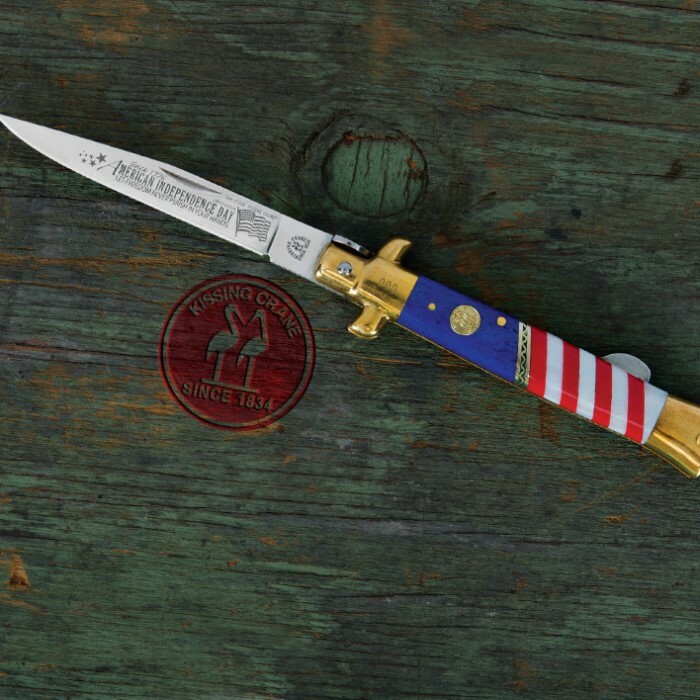 Commemorate our American independence with this special Limited Edition July 4th Stiletto from Kissing Crane. This knife is great. it has an elegant design and the handle is superb. the pictures do not do it justice. the only reason I didn't rate this 5 stars is because there is a very minor, almost invisible, scratch on the back of the blade. I received two knives and both had this scratch. other than that, the knife is beautiful. the knife look's good ,Like Many others That I've gotten.